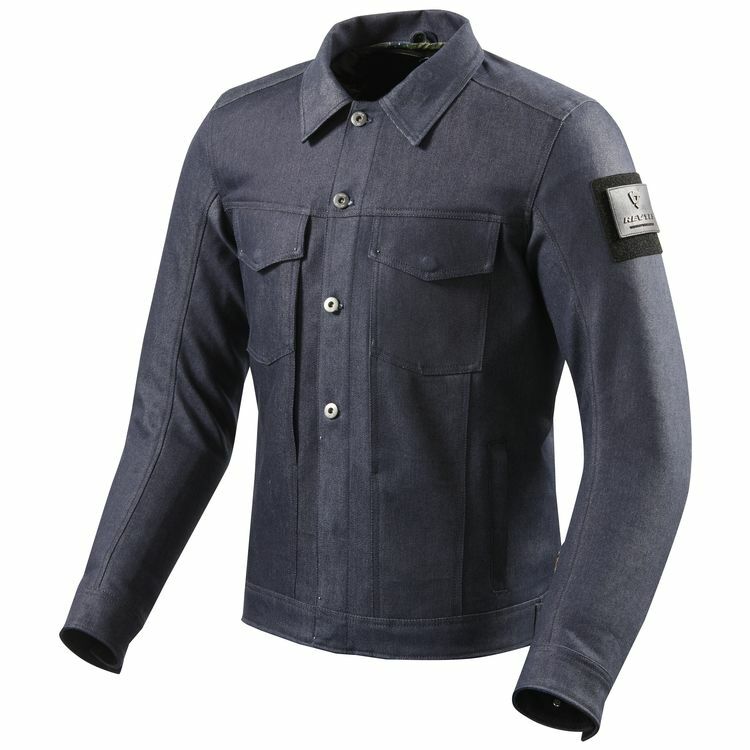 The Revit Crosby Riding Shirt is made of a proprietary 12.5 oz Cordura denim with Coolmax, a combination that results in protection and comfort. Gussets on the back of the jacket make it easy to reach for bars without any binding. Pop the collar to keep the wind off your neck. You won't be mistaken for a bro, bro. So I got to try on the Rev'it Westport, Intercept and this Crosby jacket. This jacket is awesome. For summer city riding i generally wear a Levis trucker jacket. The Rev'it Crosby is basically a pretty big upgrade to that, without losing that casual denim jacket style. I was looking for a warm weather riding jacket that has a good mix of protection, style and ventilation and the Crosby pretty much does it all. The material is dense but not stiff. The included armor is nearly unnoticeable. If you get the optional back armor though, you'll definitely feel it cause its pretty damn thick, but it doesn't detract from the style and is obviously great for spinal protection. This is definitely the most ventilated of the 3 jackets I tried as well. Compared to the Rev'it Westport and Intercept, this jacket feels less snug since it has no padded lining (it does have mesh lining though). so it will be much cooler in warm weather. It's also the only one with ventilation. I'm a small guy (5'9 145lbs) and a size Small fits me pretty well, if not a little loose in the arms (probably cause i have small arms!). The collar area is also a little too open so it doesn't fully hug my neck while the Westport and Intercept jackets don't have this issue. I'm sure this will fit someone with a 'normal' build just fine though. PROTECTION: Besides the armor and thick denim/cordura, your neck also get some protection from the elements as the collar can pop up and is held in place by a connector. It looks pretty sweet. I'd prefer if it came in a black version. Would have liked some waterproofing as well.